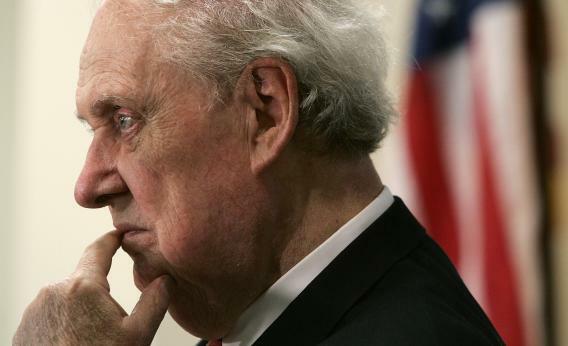 Robert Bork dies: What he meant to conservatives. Had Robert Bork been confirmed by the Senate, and had everything else in his life gone the same way, he would have died today after 25 years on the Supreme Court. Whatever a conservative thinks of him, and however much he grew to admire the martyred Bork, he has to realize what the Bork defeat cost. Had Bork, and not Anthony Kennedy, been on the court in 1992, it’s likely that Planned Parenthood v. Casey would have gone the other way, potentially reversing Roe. Had Bork, and not Kennedy, been on the court in 2005, Kelo might have gone the other way. Had Bork, not Kennedy, been on the court in 2008, there might have been no ruling against the state of Louisiana’s capital punishment laws. Years later I was sitting with him at some dinner when someone asked him a question about Kennedy. He told a story about his testimony and about having to address Kennedy, who had spoken in such vile fashion about him, with deference and respect. Then he puckered up his lips like a fish and simulated swimming like a fish in the waters of Chappaquiddick. Bork’s story of the nomination process became the generally accepted one. That would help Republicans when they defended future nominees like Clarence Thomas and Sam Alito – they wouldn’t let Democrats smear someone again by instisting that “originalism” meant “back-alley abortions.” The nastiness of the charges was separated from questions about the truth of the charges – whether, in fact, an originalist who frequently criticized liberal legislation would have used his power to undo liberal legislation. One of the key arguments against Bork, in 1987, focused on his role in the “Saturday Night Massacre” of 1973. Attorney General Elliot Richardson refused to fire special prosecutor Archibald Cox, and resigned. Nixon asked Bork to take over the DOJ, temporarily, and Bork fired Cox, justifying this by saying that a drawn-out string of resignations would have weakened the Watergate investigation. It was complicated, and only late in life did he intend to go back to that part of the story, telling Lloyd Grove last year that he was writing a memoir about 1973. Bork had much more success arguing that to give an extreme interpretation of “originalism” was to smear originalists. By his demeanor, he furthered the idea that originalists had powerful intellects and believers in the “living Constitution” were hacks. All of this would protect future nominees, and move the court to the right.